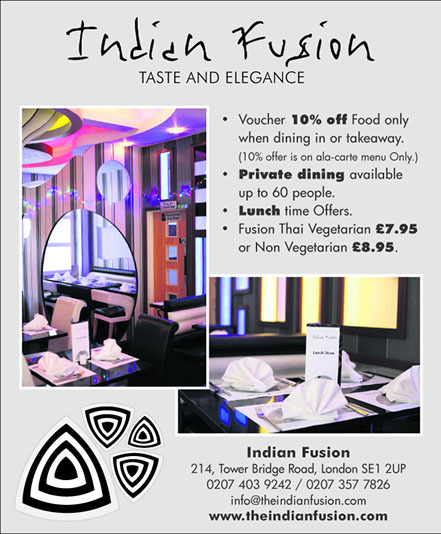 Indian fusion is part of the successful group of restaurants in Waterloo, Dulwich, Buckhurst Hill, Woodford, Bourne End and Byfleet. The owners have over 20 years’ experience in the restaurant industry and pride themselves on providing a unique and exciting culinary experience. 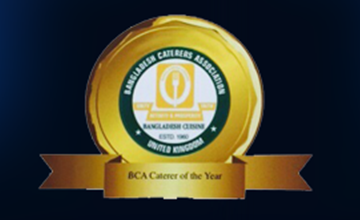 With our sumptuous food in elegant surroundings, quite simply the best tandoori restaurant in your area with a wide choice of both Bangladeshi and Indian food. 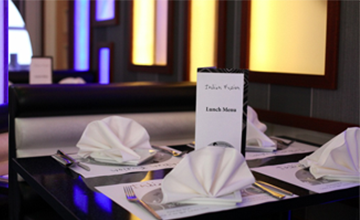 Our interior is fully air-conditioned, elegantly spacious and can cater for many people as well as parties up to 50 people. All food is freshly prepared using only the finest ingredients with little or no artificial colouring and minimal oil, making each meal a pleasurable and healthy experience. Staff hope that all guests enjoy their visit and the ambience of the new bar, lounge and restaurant with its fresh, contemporary look and stylish interior design. 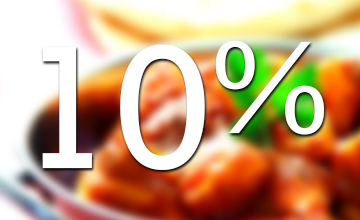 Dine in customers, minimum order one main course per person. Alcohol will not be served without a full meal. Some dishes contain nuts (please ask our waiting staff). 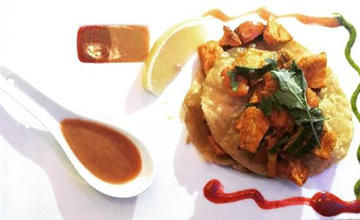 Any favourite dishes can be prepared upon request. The management reserves the right to refuse service to anyone without giving explanation. Complementry Papadom & Fusion Chutney on all orders. Parties catered for guest up to 60 guests, Separate party room available.